What is it like to work at Barnet? Hosted in an attractive setting in North London, our ever-popular Barnet camp is a favourite among the staff, so make sure you get your application in early for this one! Barnet boasts some incredible and unique features, such as its 8 lane swimming pool and extensive playing fields. 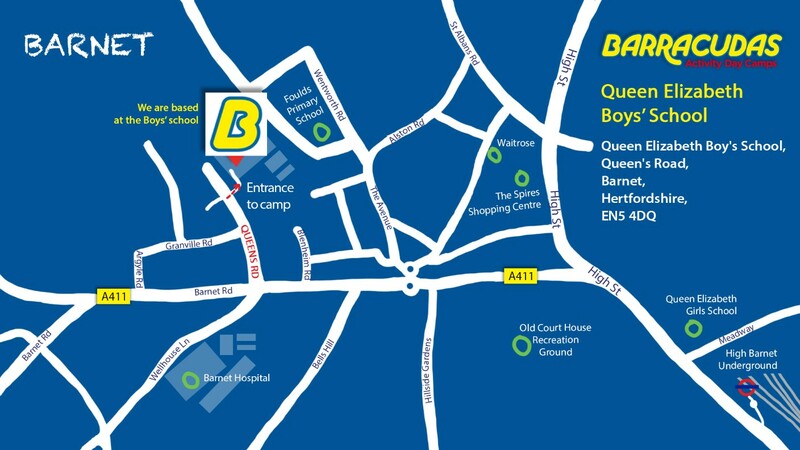 The camp is also only a short walk away from High Barnet Underground Station, giving it direct travel links to Central London! Please Note: This camp is also close to our Hemel Hempstead and Watford camps, so if the role you are looking for is not available at Barnet, be sure to check these camps out too!